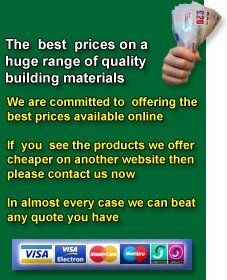 Building Materials Direct are suppliers of a wide range of Decorative and Building Aggregates which include Building Sand in various colours(dependent on location) along with 20mm Washed Concreting Ballast , Sharpsand also known as Gritsand , Screedsand and Coarse Sand also available in most locations is a mixed plastering sand which is ideal for rendering , 10mm shingle, 20mm shingle and 40mm shingle are stocked in both building and decorative Shingle . Aggregates are generally supplied in Bulk Bags so there is little mess and waste, and for easy storage Bulk Bags can be sometimes be lifted into a position that a tipper lorry would not be able to access. 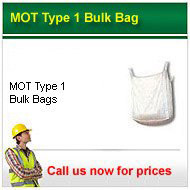 Small handy size 25kg bags are also available and are excellent if the job is either small or being used to top up where a Bulk Bag is not enough. Building Materials Direct can also supply loose tipped aggregates these are generally required where large quantities are being used and are available in between 10 and 20 tonne load sizes. 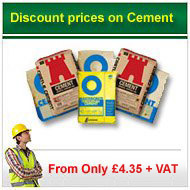 Building Materials Direct are also suppliers of a large variety of Cement products which are used for different applications such as Ordinary Portland Cement which is the most common type of Cement and used for most applications where concreting is required, also available are Cements that have additives such as Mastercrete which compared to Ordinary Portland Cement can have a lower water demand giving a more cohesive mix its also easier to compact spread and mix. Rapid Setting Cement which contains calcium aluminate is also available and is primarily used in concrete repair situations allowing quick access to repaired areas. Sulfate Resistant Cement can also be supplied where the project is going to be prone to Sulfate attack. If you require a very light mix or a precise colour made with the addition of colour pigments then White Cement can be used to great effect. Also available from the Building Materials Direct range is Hydrated Lime this can be used in many applications from the manufacture of calcium silicate bricks to the treatment of sewage effluent although the most common would be in mortar for bricklaying and rendering giving the mortar improved plasticity, cohesiveness and water retention, however Hydrated Lime must be used in conjunction with a portland cement when used for mortar. All products are available in 25kg bags for direct to site delivery and in some instances need to be ordered in 60 bag lots. 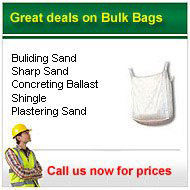 Get a quote:- For any quantity of Bulk Bags even small 25kg bags of Aggregates or Cement products that you may require for your Selfbuild or DIY project please do call our friendly and knowledgeable sales team with what you need and they will be pleased to supply you with a fast and competitive quote.